Am I the only one who tries her heart out and falls far short day to day? Something tells me no. There’s a lot of pressure to get things done right now. And more things to do than time or strength to do them. Every morning I wonder which things on the list I might make progress on. And he has been asking me for two weeks to cut his hair. So before his cross country team trip this week, he asked one more time. With lots of breaks for my screaming wrists and cramping hands, I DID IT! Teach Roo math. Phone a friend. Answer a couple emails. Conference call about our session at ACR. Contact the printer about our new RPF brochures. Wash the cross country uniform. Drive my son to class tonight. Something struck me years ago about those words. What is the work we’ve been given to do each day? How do we know, so we can tell when we accomplish that? We can’t. I decided years ago, with four little ones pulling me in all directions and so many different projects going on, that I could pray something like that in the morning, and then just rest, knowing God knows I’ve done my best to be faithful so whatever I did get done was the work I’d been given for that day. It sounds like kind of a backwards approach, but I think if I let go of either one – faithfully trying or restfully accepting – I might be miserable. This practice goes back years before RD limited me so much physically, so maybe it helped prepare me for living with the struggles of RD. The list is not much better; and Superman I’m not, but I can accept that. I hope you are as blessed by your writing as we who are suffering with you. Thank you for your encouragement and perseverance. May God who has given us life continue to give us the strength to continue our journey with dignity and grace. Thanks for using your talent to fight for understanding of the disease . You are so appreciated. Thank you Verna. You made my day. Actually, I’ll try to hold on to your words much longer than today! Kelly, Thank you for sharing the prayer. I have written it in my journal and have shared it on Facebook. It is really really good. Isn’t it wonderful how ancient words still ring true, Jane? Have a great day. I am looking for someone who has had knee surgery with RA. What is the outcome and how do I find a surgeon who is familiar with RA? Mary, do you need a knee replacement or do you know? Hi Mary, I had a dbl knee replacement when I was 40 and it was definitely worth it! It literally made me feel 10 yrs younger! Since then I encourage others to just have the surgery,I am younger than most ppl that need this done but I just want ppl to know and experience how wonderful you can feel. My rheumatologist is 3 hrs from where I live in Ne but I’m getting great care and support from him. ( it’s been 25 yrs for me) That is why I also drive that far to do my surgeries,it is the surgeons he knows and refers me to. He has always said I could go closer to my home but he don’t really know the surgeons in my area so I stick with the ones he knows,it’s worth the drive. This January 9th I will celebrate my 5 yr knee Anniversary 🙂 Best wishes to you~God Bless! DO YOUR REHAB EXERCISES!!!!!! I had both knees replaced at the same time. Felt great the first year. Knees are really bothering me now. I have lost muscle in my upper legs do to not exercising. Also have peripheral neuropathy in my legs. Don’t know if it is due to nerve damage at surgery and/or my chemo infusions. Am back to rehab along with Lyrica. You always know the perfect topic to make my day!! 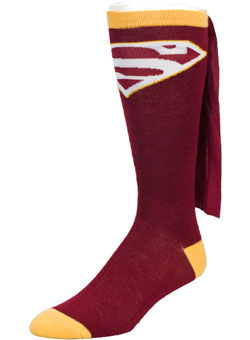 Also, I’m loving the Superman socks in garnet/gold!! Hoping that you, too, have a good day! Hugs! I think the prayer give us wonderful direction – that our ‘work’ is to love and serve regardless of the activity. 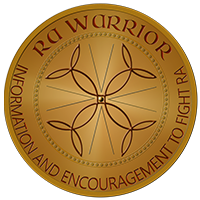 What a wonderful work RAWarrior is – touching so many people with information, comfort and hope. 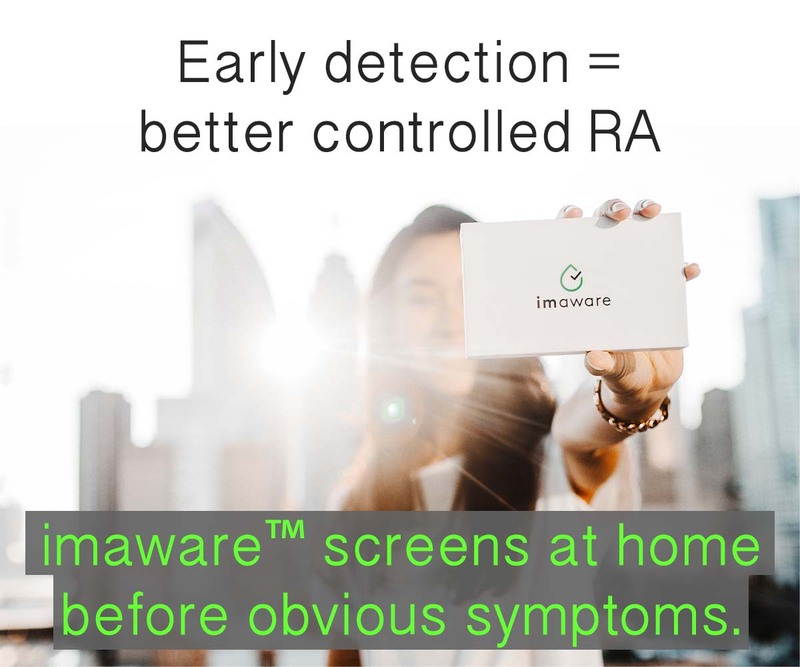 The same is true with RPF – we now have an advocate for PRD who truly understands this disease. Our work is to do what we can each day and glorify God in doing just that. I find it amazing all the tasks you balance – family, blog and foundation. My life has changed dramatically from working excessive hours and participating in sports and fitness to some days praying I can just get the laundry done. After diagnosis it was very difficult for me to learn to ‘let go’ of tasks and the expectations of others and rest or take a nap – but finally I learned how and have a new acceptance of my abilities and limitations. However, some days it is still difficult. Thanks, Kelly, for reminding us that Superman socks are not worn all the time and that is ok. I love this post – what a great reminder! It brings me back to Ephesians 2:10 – “For we are God’s workmanship, created in Christ Jesus to do good works, which God prepared in advance for us to do.” God knows the work he has laid out for us, even if we don’t, and I just love your message of faith that if we are seeking to do God’s will we can rest content with the things he has helped us complete each day — even if our “to-do” list is still full! I struggled with this a lot last year, and am learning now the lesson you learned years ago. What wise words! I can certainly tell you have walked this path for a long time now. Thank you for allowing me to benifit from your experiences. I’m still fairly new to this, but the challenges everyone talks about become apparent very quickly. It can easily take everything over in your life. Without my faith, I have no idea how I could make it through this. It’s so incredibly life changing to have angels like you Kelly, to help us navigate through this. Thank you for all that you do. You may have many days where you run out of gas, but your message carries on while you’re recharging! I need caped Superman socks! That’s so cool!! I think the key is to essentially get a grip. To control the List, instead of letting the List control you. I’ve had a bad habit of assuming that the List can be accomplished and when I didn’t, get really frustrated and feel like a failure. However, I have very recently realized that writing down e.g., 12 items that each require an hour or more is not physically possible when you also have to do everything else that comes at you in the day. Not only is this not physically possible for me, but also not for someone who is perfectly healthy. It helped me realize that when everything on the List doesn’t get done, it meant the List was too long, not that I somehow failed. And that was the start of me getting a grip. Which is not to say that I succeed every day in being perfectly zen-like about everything that didn’t get done, but I’m getting better and looking at what I did do, rather than what I didn’t. And I feel much healthier for it. This struck a chord with me this morning. I had always been an energizer bunny. Multi tasker to the MAX. However, the bunny goes much slower since being diagnosed and needs recharging far more often. The good news, she is still going. Have to chuckle about the socks Kelly. I am in San Diego for my sons wedding. I promised he and his bride I would keep the house together and feed them while they prepare for their wedding this week in their backyard. I went to see him teach his class (Theater class at Grossmont College) and then went to see the costume design dept. and he reminisced about all the costumes (capes included) I had made over the years. Your son will cherish those socks always. They are well worth the effort. I am having a difficult time keeping this promise and balancing the rest I need…but by the grace of God all is being accomplished and I am so enjoying helping them, visiting with my other son and his wife and playing with the children of friends that I nannied for briefly after I retired from nursing. Each night I thank God for the day he has given me. Thank you for all you do and the reminders to live our lives fully. I have had multiple surgeries, including both knees, and they have been successful. I believe any ortho surgeon will be familiar with RD, as we are probably one of their best “clients”. They will advise you which meds to stop prior to surgery, etc during a pre op workup which will be extensive. Before my last surgery (hip), and for the first time ever, my pre op included a talk with an endocrinologist to support the adrenals – such a good idea as any surgery will be stressful. You may want to ask about this. I also took in, and wore the whole time I was in the hospital, a grounding wrist band (Earthing.com). The difference was amazing in the speed of healing. Stitches were out in 5 days and I had almost no bruising. I must add that I discussed this with my surgeon prior, and he thought I was nuts, but I did it anyway. The caution is that Earthing thins the blood and you will be given anti coagulants. I will add that I have had RD for 40 years and am in the group that does not respond to drugs, so do this “cold turkey” so to speak. Much Good Luck and I know you will have a great outcome. Attitude is everything! I’ve become more accepting of what I *can’t* do for my kids. My husband reminds me that I’m kind to them, take time with them, and that’s what they will remember… not the times (many many times) I couldn’t do something. It’s tough though. One of my kids has Asperger’s, and I’m homeschooling (11th grade now! ), and my younger son needs to be driven back and forth to school. All the hundreds of little things kids need…it’s hard to not feel like you’re not doing enough. I appreciate your post Kelly. Every day is another chance to start again! Thank you for your words today and everyday. God (and my husband!) is the only way I make it through! As a mom of 3 kids, 3 y/o and under, and a 10 year survivor of RD, I need all the encouragement I can get! Especially when it is difficult to just provide the basics of food, clean clothes, safety and hugs of course. However, I am so grateful for my children and the strength I have to not let this disease define my life, even as a mother. Blessings to you all. Have a wonderful trip Amy. I’m nodding & smiling with your comments. I have pushed myself to the point where I have fallen asleep while eating dinner, fork in my hand and all. i have no choice as a home care RN to work myself to the bone to esrn a living. Fighting fatigue, nausea and screaming pain all the time is depressing. Not sure what to do when not working isnt an option. 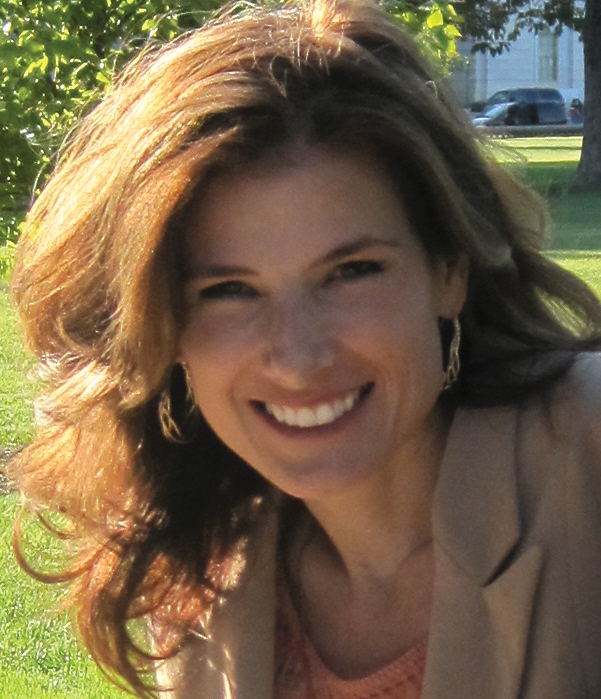 Kelly, you seem to give a booster shot to us all, and, most of the time, at the moment when a booster shot is most needed! The prayer and your words are inspiring, and we know you certainly have practiced what you’ve preached. You know we are here for you, too! I couldn’t get to the phone today, and I’m not sure if I’ll be able to do so tomorrow, but we will touch base in the next couple days for sure! Hope the plans for the conference are going well! Take care, and hope you will be feeling more comfortable by conference time…..hope springs eternal, as we all know!